According to the latest World Investment Report published by the UN, Morocco was the top recipient of foreign direct investment (FDI) in North Africa in 2012. It is the first time that the kingdom ranked number one in the region, even surpassing Egypt—historically the main recipient of FDI in North Africa and the largest Arab economy outside the Gulf countries. Morocco's industrial sector attracted the majority of FDI inflows, according to local sources. After a significant decline in 2008‑10 owing to the downturn in the global economy, flows of FDI into Morocco picked up to US$2.57bn in 2011 and strengthened further, to US$2.84bn, in 2012. The data, which were published in the 2013 World Investment Report produced by the UN Conference on Trade and Development (UNCTAD), reveal that Morocco and Sudan were the only two North African countries to have regained their pre‑crisis levels. According to UNCTAD, FDI accounted for 9.2% of Morocco's gross fixed capital formation in 2012, up from 8.2% in the previous year. The rising trajectory in FDI partly reflects the relatively stable political and economic conditions in Morocco, especially when compared with Egypt, Tunisia and Libya—countries that are still reeling, to differing degrees, from the aftermath of the Arab Spring. However, a number of other factors have also contributed to Morocco's recent success in attracting FDI, including the kingdom's proactive policy towards foreign investors, its national privatisation programme and the availability of skilled workers with wages much lower than in developed countries. In its report, UNCTAD commended Morocco for its favourable legal framework with respect to foreign investment and also praised the country's relatively advanced environmental standards. At the same time, the UN agency pointed out that underdeveloped transportation networks and infrastructural inadequacies are factors currently impeding a larger volume of FDI inflows. France and Spain are the leading investors in Morocco, helped by their geographic proximity to the kingdom. 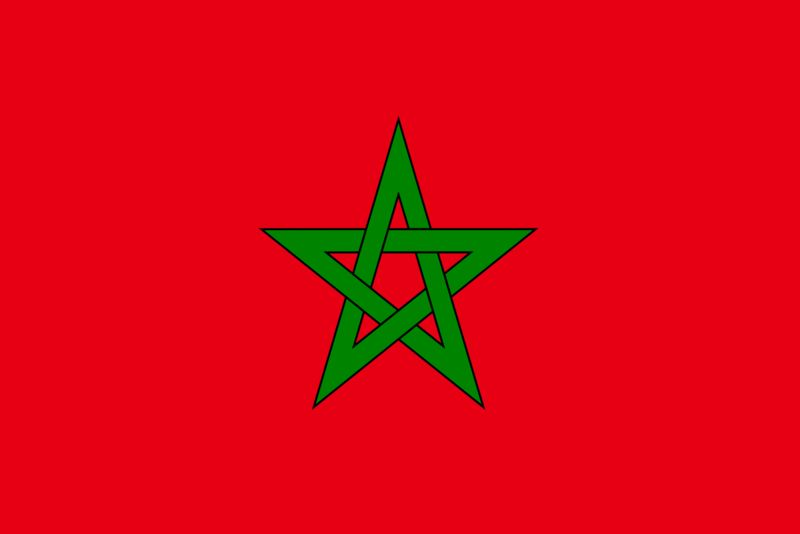 Although France slipped to second place last year in terms of its importance as a supplier of goods to the Moroccan market (after being displaced by Spain), it retained its top ranking in terms of FDI; according to figures published by the French Ministry of Foreign Affairs, France's direct investment in Morocco in 2012 amounted to €919m (US$1.2bn). France also accounts for just over half of the outstanding stock of FDI in Morocco. Separate figures published by Morocco's Ministry of Industry, Trade and New Technologies indicate that of the Dh32bn (US$3.8bn) of FDI that the kingdom attracted in 2012, 26% went to the industrial sector. However, according to the country's investment development agency, the Agence marocaine de développement des investissements, the share of investment accounted for by manufacturing has continued to increase sharply this year; in June the industrial sector alone attracted 59% of incoming FDI, compared with 14% for the construction sector and 2% for tourism. The opening of a large car‑assembly plant in Tangier last year by Renault, a French automobile manufacturer, has encouraged other manufacturing companies to locate their operations in Morocco, including a Canadian aircraft manufacturer, Bombardier, and a French aeronautics subsidiary of United Technologies Corporation, Ratier‑Figeac. Bombardier, the world's third‑largest aircraft maker behind Boeing and Airbus, is planning to spend US$200m in Morocco over the next eight years on equipment, buildings and start‑up costs. Some 850 jobs are expected to be created by 2020. The Montreal‑based company said that it had chosen Morocco instead of two other short‑listed countries (namely Tunisia and Turkey) because of the kingdom's relatively low production costs and skilled workforce, as well as its already‑developed aeronautics industry and proximity to Europe. Meanwhile, a French pharmaceutical company, Sanofi, announced in April that it is planning to open a new €20m logistics hub in Casablanca to distribute its production on the African continent. There have also been a number of sizable foreign investments in Morocco's food‑processing industry over the past 18 months. These include the decision by Danone of France to increase its stake in the country's leading dairy producer, Centrale laitière, to 67% in a deal worth €550m. In addition, Kraft Foods of the US has agreed to take full control of Morocco's top biscuit manufacturer, Bimo, in a transaction amounting to US$151m. As Western economies continue their slow recovery, FDI flows to Morocco should increase accordingly—especially from Europe, which is the country's main trading partner. With no end in sight to the political turmoil in Egypt and Tunisia—traditionally, sizable recipients of FDI among the North African countries—Morocco should also continue to benefit from a diversion of FDI flows away from its Arab neighbours. Exports of manufactured products, including high‑tech exports, are likely to grow on the back of the increase in foreign investment. In turn, this should help to reduce Morocco's economic dependence on the agricultural sector—which remains vulnerable to drought and climate change. With sustained inflows of FDI, unemployment should steadily decrease, as more jobs are created for skilled workers. Over the longer term, a further impetus to FDI is likely to come from an intensification of trade and investment links with the EU; the first round of negotiations for an EU‑Morocco Deep and Comprehensive Free‑Trade Area (DCFTA) were launched in March. © 2013 The Economist Intelligence Unit Ltd. All rights reserved.